Welcome to Eisenbart & Sons, a family-owned and -operated business serving the greater Southern California area since 1982. Over the past three decades, we've completed more than 100,000 jobs, performing each one with a strong commitment to superior workmanship and great value. 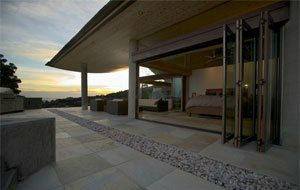 Eisenbart & Sons is Southern California's best choice for door and window installations and more. Eisenbart & Sons can help you transform your home or business into the environment you've always dreamed of. 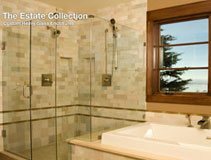 We offer the top brand names and styles in windows, doors, glass structures, mirrors and screens, shower enclosures whether you're preparing to renovate or just need to replace a single window. 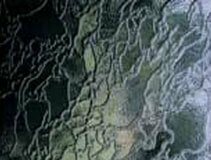 Our large selection is sure to include something that will perfectly compliment the look of your home or business. You can count on the quality of our service; we don't use subcontractors, so all of our workers are skilled and experienced Eisenbart employees. 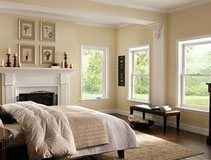 Our knowledgeable staff will install your door or window with absolutely no damage to your existing structure, stucco, or drywall. All of our results are completely guaranteed. Our service is exceptionally fast: your projects will be completed within two to three weeks from order to installation, and most installations only take us one day. 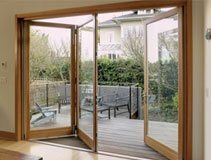 Call Eisenbart & Sons today; with over thirty years of experience, we are the leading provider of quality, affordable door and window installations in Orange County and beyond. To Joe, Brian, Harvey, James, and Jose, Thanks so much to all of you for your part in putting in our new windows. Everyone did a great job. We appreciated all of your work. We are happy with our new windows and will recommend you to our friends. Thanks for doing such a good job. We were also impressed by how you all showed up on time. How unusual. Thanks. I am so pleased with my new doors and windows! I am extremely particular and my eye catches everything. Josh, Jason and Juan were wonderful! They took the time to do everything to the best of their ability, taking care of every detail. I could not be more pleased and excited at the result. Their skills and conscientiousness is to be highly recommended! Perhaps there is hope for the new generation and their dedication to performing their best.